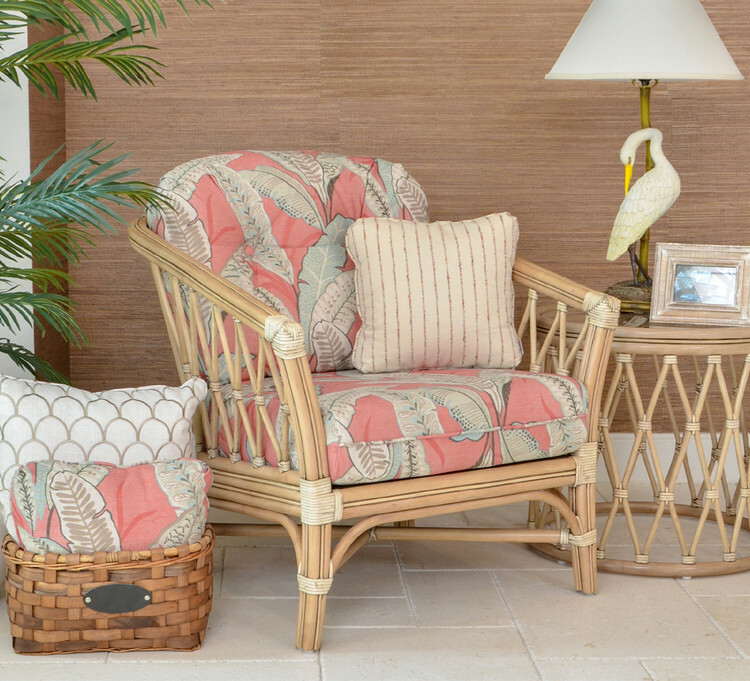 The Hammond Collection from Watermark Living™ makes quite the impact with its striking vertical zigzag design that is hand-crafted from natural pole rattan. This chic vintage, coastal inspired collection features leather wrapped rattan, with comfortable foam filled cushions covered in the fabric to fit any design need. The matching dining and accent pieces offer the perfect statement to add the elegant vintage feel to any living space.